Waterproofing for your home or commercial property can protect your property against a leaky roof and other common problems. Our roofers can waterproof a variety of roof types, including both home and commercial properties. Ready to waterproof your roof? Call us for a free estimate! In addition to keeping your building protected against the elements, waterproofing can reflect more of the sun’s rays, keeping your home cooler, and saving you on those costly energy bills. Our highly-trained team of roofing contractors offer you over four decades of experience to give you the best service in the area. As a local, veteran-owned roofing company, we understand the importance of a home that is secure, protected and leak-proof. Waterproofing your property will give you great peace of mind during the next torrential rain, hail or wind storm. Do you have a basement that leaks every time it rains? Maybe you want to install a downstairs family room, but hesitate due to leaks. Let us handle the waterproofing of your home so that you can continue on with those projects! Schedule an appointment today and we will send one of our expert roofers to your site. He will do an inspection of your property and then he can inform you of the best type of waterproofing available for your residential or commercial property. You will receive a free estimate to waterproof your roof, with a customized plan for your building. Roof coatings – available for both commercial and residential properties, these are an alternative to continual repairs, or premature replacement. Depending on the type of roof you have, and if it is on a home, or a commercial property, one of our expert roofers can help you decide what type of waterproofing is best to fit your exact needs. Residential waterproofing – elastomeric roof coatings have numerous benefits for your residential property. They are highly resistant to cracking and peeling, helping to protect your property from changes in the weather and will actually help extend the life of your roof up to 15 years. Call us to get a free estimate on residential waterproofing today! Commercial waterproofing – polyurethane is becoming more and more common due to its highly durable surface. For the business property that receives high wear and tear as well as heavy traffic, better protection can be provided with polyurea materials. They are also great for flat roofs, since they are prone to water ponding; polyurethane will provide greater protection for your flat roof. If you are looking to waterproof your home or business, and extend the life of your roof, one of our roofing contractors will sit down with you and discuss the needs of your home or business. From there we can work up a custom plan for your property, and give you a free estimate on our services. 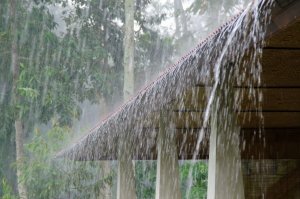 Ready to waterproof your roof? We’re the best in the area! We do waterproofing in Bentonville, Springdale, Fayetteville and nearby areas. We are a roofing company that’s been in the industry for over four decades — we know roofing. When you’re looking to improve your current roof, give us a call!